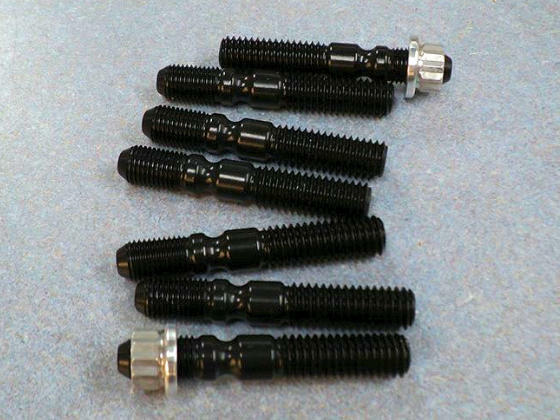 Universal Fit 7075 7/16 Aluminum blower studs with strain relief slot. 7/16-14 Coarse side length is 1.250" which allows you to cut to the perfect length if necessary, unlike the competition which are truly a universal "don't fit". Short side is 7/16-20 NF x .600" long (.750" to end of starter nose). Overall length is 2.725". 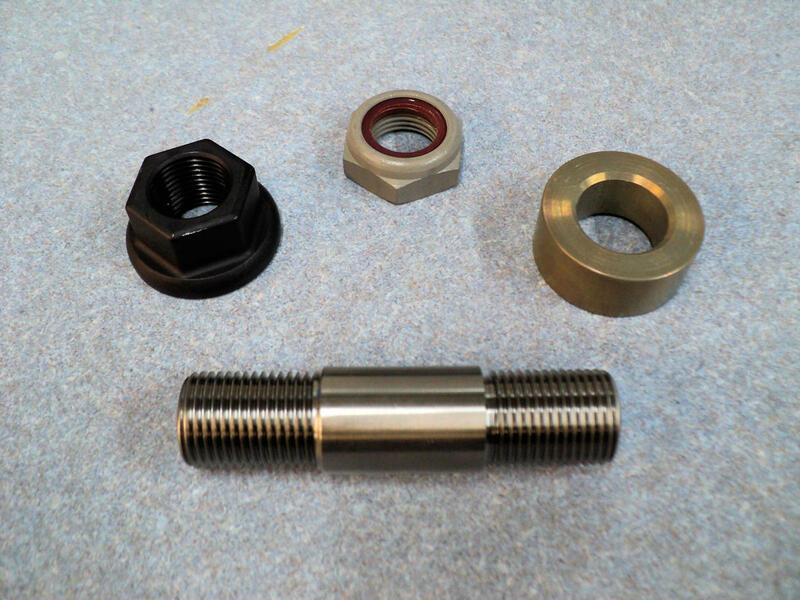 Optional 12 point aluminum nuts available (not included).